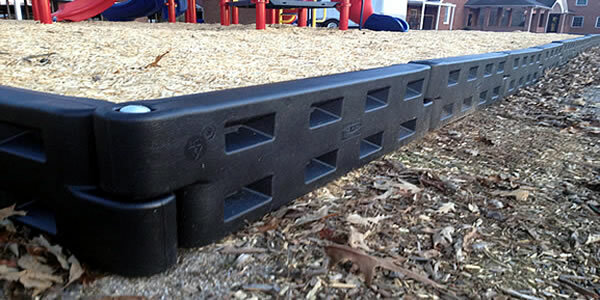 Our Black Playground Border Timbers are very popular with schools and daycares. These timbers are very versatile and they look great! We sell and ship playground border timbers throughout the United States. Just call us for a quote. We always answer the phone and we are happy to answer your questions. 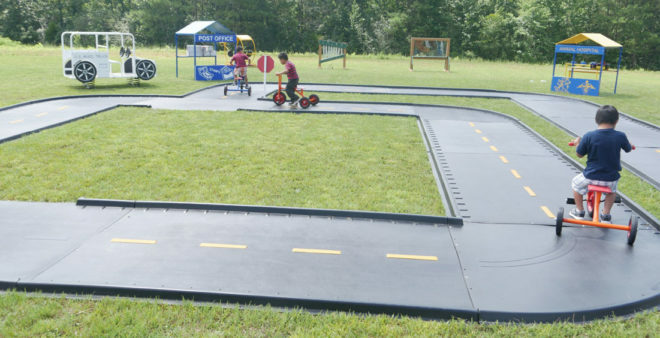 We now install Trike Paths! 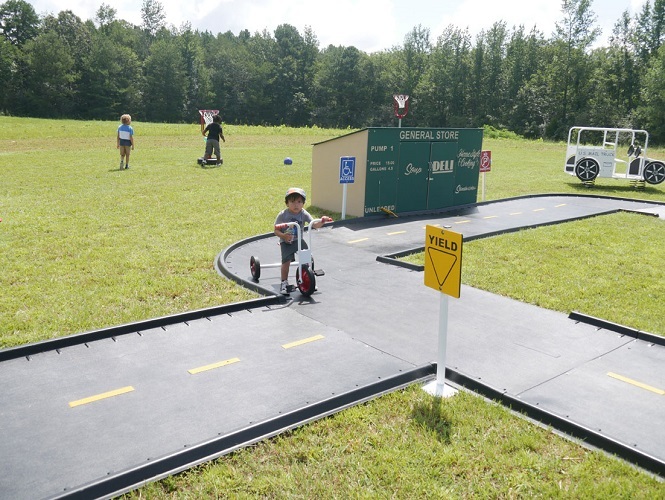 These paths are easy to design and fully customizable to fit your needs. No contractor required! Sections snap together like puzzle pieces to work with your playground layout. Most of our customers are schools, businesses, municipalities, churches and various organizations. These borders are particularly great with gardens and playgrounds or any other type of project you are working on. 1. Determine how many playground borders you will need for your project. Calculate the linear length and width of your project and divide that the length of the timber. (Example: If you have a length of 20 feet and width of 8 feet, you will need 14 of the 4' plastic borders.